When it comes to French chocolate, noted food connoisseurs swear by the name Patrick Roger. 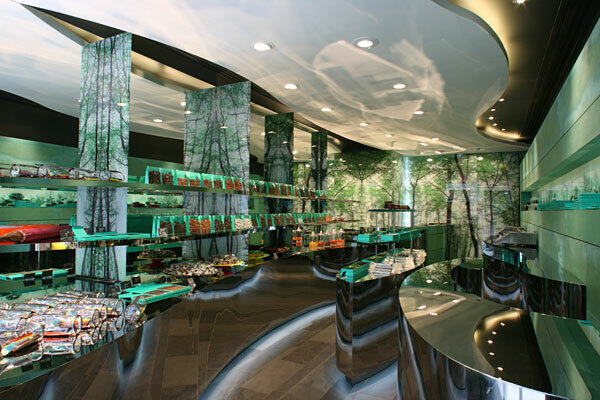 Considered as one of the top ten French chocolatiers, Roger puts more emphasis on flavor. Without it, he said in an interview, his business does not work. Roger is most famous for his rochers, which are infused with ingredients that range from the traditional such as almond, pistachio, and coffee, to the quirky like oats, Creole rum, Earl Grey tea, and even jasmine. He sources his ingredients from the most exotic of locations: Cocoa beans from Sao Tome, Vanuatu, Ecuador, and Papua New Guinea, coffee from the banks of the Red Sea, orange from Corsica, marron glacés stems from Turin, whisky from Scotland, chestnuts from Szechuan to name a few. Each chocolate provides not only the richness of chocolate, but also a whole new experience on every bite. He also provides eccentric seasonal delights like beer chocolate for St. Patrick’s Day or chocolate sardine cans for April Fool’s Day, which is celebrated in France by attaching paper fish on the backs of unsuspecting victims. Another highlight for visitors is Roger’s shop windows, which offer a glimpse of the chocolatier’s wackiness. These seasonal displays are sculpted using forks, like giant chocolate polar bears for Christmas or a woman showing off her heart-shaped buttocks on Valentine’s Day. Patrick Roger, the boutique, is located in five different points across Paris. Check out www.patrickroger.com to know more about Roger’s chocolate creations. You can leave a commentor a trackback .